The Niepoort philosophy has been, for the last decades to innovate, diversity, break taboos, maintaining tradition. 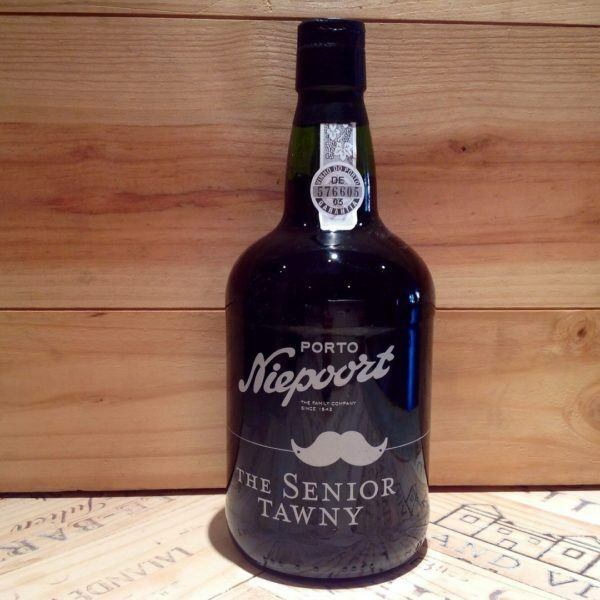 The Senior Tawny uses the most traditional format of bottle and a moustache to emphasise the seniority! The wine spends most of its time ageing in small barrels in the Niepoort lodge in Vila Nova de Gaia. The small barrels enable a soft and light contact with the air through the pores of the wood, which results in a slow oxidation process over the years. The Senior Tawny comes from low yielding vineyards in the Cima Corgo region of the Duero valley. The grapes are predominantly trodeen in lagares, prior to the ageing process. Tasting Notes: Brick red tawny appearance; a velvety mouth feel with a fine blend of old wines giving richness balanced with younger wines giving freshness and complexity. Food Suggestions: This Tawny is a good match with cheeses and chocolate based desserts. It can also be drunk as an aperitif and can be served at room temperature or slightly chilled.